..anyone wanna help me recall where this one showed up in ?? This is awesome! 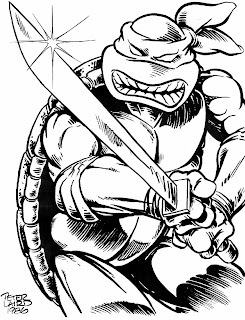 The inking shows real depth and "warmth," something not a lot of inking shows nowadays. Too many inkers are afraid to vary their line weights. Maybe you just got into the drawing and forgot to add the belt? I do that sometimes when I'm working on something. In the old days it meant I had to start over... nowadays I just draw the correction in on the computer! So the lack-of-belts and such in some of the old drawings was out of laziness? Interesting. I never really wondered about that, but it is still interesting to know. Well I like it. I give it the Cynthia stamp of approval. -->> EEsh, k i guess nobody knows. I do love the story Wolverine B came up with and I agree, thats what it makes me think of too!